EISA deployed a PAM to Gabon (16-23 July 2016) and Ghana (26-30 September 2016. 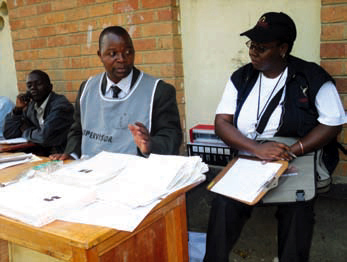 In going further with its mission, EISA deployed EOMs to the 3 August 2016 municipal elections in South Africa and the 11 August 2016 general elections in Zambia.In South Africa, the deployment of an EISA EOM was the sixth in a series of EISA EOMs since the 1999 National Assembly and provincial Elections. The South Africa team was led by Denis Kadima, Executive Director, and comprised of 14 short term observers drawn from Civil Society Organisations (CSOs) from Southern Africa. The Mission presented its preliminary findings, conclusions and recommendations at a press conference in Pretoria on 4 August 2016 on the basis of observations during the special voting that was conducted on 1 and 2 August 2016 and on Election Day. The EISA EOM to Zambia was composed of 10 short term observers drawn from civil society organisations and electoral commissions across the African continent. It was led by His Excellency Cassam Uteem, former President of Mauritius, who was assisted by Denis Kadima as the Deputy Head of Mission. The deployment of its EOMs in South Africa and Zambia enabled EISA to further contribute to the improvement of the electoral process in these countries through recommendations for future legal and electoral reforms. Furthermore, EISA EOMs provided the Institute and civil society representatives an opportunity to further improve on the use of technology in election observation. 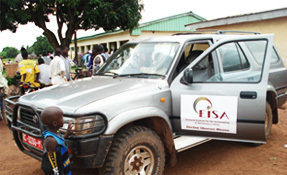 In 2016 EISA deployed an Election Observer Missions to the Ugandan General Elections held on 18 February. 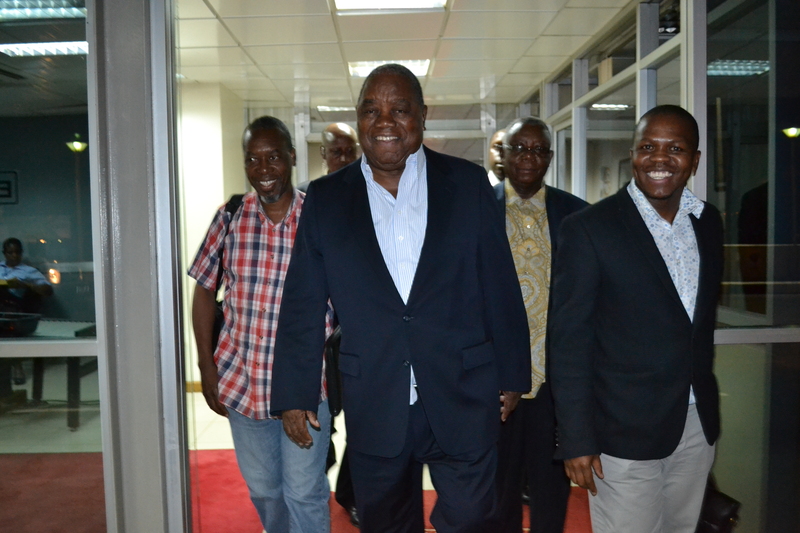 The Mission was led by Rupiah Banda, former President of the Republic of Zambia and was deputised by Denis Kadima, Executive Director of EISA. The Mission consisted of 12 medium term observers (MTOs) and 26 short term observers (STOs), drawn from civil society organisations (CSOs) and election management bodies (EMBs) across the continent. EISA deployed a continentally constituted Mission to Eye Witness the 2015 Egyptian parliamentary elections. Ten Long-Term Witnesses (LTWs) arrived on 6 October 2015 and they were joined by an additional ten Short-Term Witnesses in November. The Mission was led by Shiek Abdul Carimo Nordine Sau, Chairperson of the Mozambique National Elections Commission (CNE) and was deputised by Denis Kadima, EISA Executive Director. In 2015 pre-election assessment missions we deployed to Chad to investigate conditions in the prior to the scheduled National Assembly election and the General Elections to be held in Burkina Faso, as well as in the period prior to the conduct of the controversial election cycle in Burundi. PAMs were also sent to Benin, Egypt, Sudan, Tanzania and Togo. Chadian National Assembly election, 30 Mar - 4 Apr 2015. Burundian electoral cycle, 22-26 March 2015. The EPP team co-ordinated the deployment of EISA's continental election observer missions (EOMs) to the January 2014 referendum in Egypt and the October 2014 presidential and parliamentary elections in Mozambique. Through these observer missions, EISA contributed to the transparency and integrity of the electoral processes. The EISA EOMs also served as platforms for peer learning among civil society groups and Election Management Bodies drawn from across the continent. The use of computer tablets enabled the EOMs to collect and analyse data in a more efficient and timely manner. The recommendations made by these EOMs contributed to amendments to electoral legislation. The EISA EOM to the 2014 Egyptian constitutional referendum was the fifth in a series of EISA election assessment initiatives in Egypt. EISA deployed EOMs to the 2011-2012 parliamentary elections, the 2012 presidential elections and the 2012 referendum in Egypt. 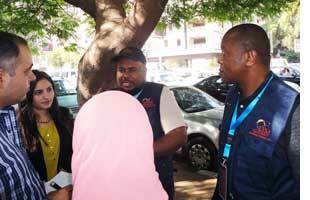 A team of seven long term observers (LTOs) and 10 short term witnesses (STWs) were deployed to seven governorates across the country on voting days. 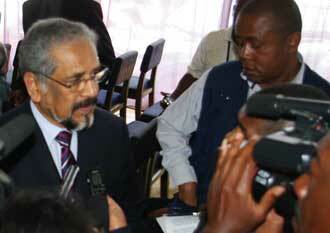 The EISA EOM was led by His Excellency, Honourable Cassam Uteem, former President of Mauritius. In its preliminary statement on the referendum, the EISA EOM noted that the referendum took place within the context of restricted individual rights and freedoms. It therefore called on the interim government to undertake re conciliatory initiatives ahead of the presidential elections. 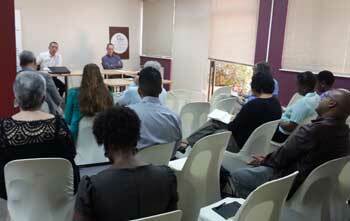 EPP conducted a seminar on 25 September 2014 at EISAs head office in Johannesburg to analyse the state of play in the 15 October 2014 general elections in Mozambique. Participants for the seminar were drawn from the academia, media, civil society organisations, and the diplomatic corps. The seminar was led by EISA-Mozambique Country Director Miguel de Brito and was conducted under the "Chattam House rules". Some of the questions framing the current thinking and debate around the electoral process and the future of democracy in Mozambique resulting from those anxieties and uncertainties were considered, including inter alia the stability of the Government-RENAMO political-military arrangements, opposition acceptance of the outcome, the impact of the rise of the MDM on RENAMO, the efficacy and efficiency of a politicised Independent Electoral Commission as well as the possibilities of a presidential runoff and a hung Parliament. EISA deployed an Integrated Election Observation Mission in partnership with The Carter Center (TCC) to the 15 October 2014 Presidential, Legislative and Provincial Assembly elections in Mozambique. The Mission comprised a team of 23 EISA long-term, who were later joined by a contingent of 64 Short Term Observers (STOs) drawn from EISA and TCC, to constitute a fully-fledged mission comprising 87 observers drawn from over 40 countries worldwide. Within the framework of the integrated EOM, both organisations adopted the same methodology and issued separate final assessments of the elections. The EISA EOM was led by the Right Honourable Raila Odinga, former Prime Minister of the Republic of Kenya and the TCC EOM was led by Professor John Stremlau, Vice President of Peace Programmes at The Carter Center. The Integrated EOM received extensive coverage in local and international media. The recommendations made by the EOM provided the basis for post-election reviews and on-going discussions on electoral reforms. 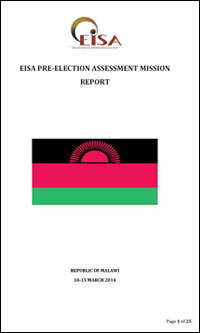 As part of its election assessment, EISA deployed Pre-election Assessment Missions (PAMs) ahead of elections in the following countries: Botswana, Egypt, Guinea Bissau, Ivory Coast, Lesotho, Malawi, Mauritania, Mauritius, Mozambique, Namibia, Nigeria, São Tomé and Príncipe, Tunisia and Zambia. Through these PAMs, first-hand information on the pre-election context was gathered as a basis for assessing whether the requisite pre-conditions were in place for the conduct of democratic elections and the level of preparedness for such elections. Information gathered by the EISA PAMs contributed to the effective technical support to its partners such as the AU and RECs; as well as informed its own missions. Guinea-Bissau General Elections, Mar 2014. Lesotho's National Assembly Election, 8-12 Dec 2014. Malawi General Elections, May 2014. Mauritian National Assembly Election, 23-29 Nov 2014. Mozambique's General Elections, 11-15 Aug 2014. Namibian General Elections, 10-14 Nov 2014. Electronic Voting: A Brief Assessment Report, Apr 2015. Zambian Presidential By-election, 1-5 Dec 2014. EISA's technical assessment missions are comprised of election experts mostly drawn from EISA staff for the primary purpose of documenting critical electoral processes in countries where it is not deploying fully-fledged missions that can effectively cover election day processes. 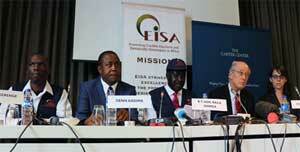 EISA deployed a three-member Technical Assessment Missions to the 4 March 2013 general elections in Kenya and the first round presidential election in Mali held on 28 July 2013. 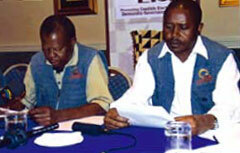 In Kenya, the EISA team was in the country from 25 February to 7 March 2013 consulting with stakeholders and observing election day processes. In Mali, the EISA team was in the country from 22 to 30 July 2013 conducting similar activities. The TAMs provide useful pre-election background information that is shared with the AU missions as well as the broader public through our website. While it is not standard practice for EISA to observe municipal or local elections, at the request of donors and national stakeholders in Mozambique, EISA deployed a six member technical assessment mission to the 20 November 2013 municipal elections to these elections. During 12 days of observation, the EISA Technical Team consulted stakeholders and observed the final stages of the campaigns and election day in seven municipalities in northern, central and southern Mozambique: Moçimboa da Praia, Pemba, Nacala, Ilha de Moçambique, Quelimane, Beira and Maputo City. 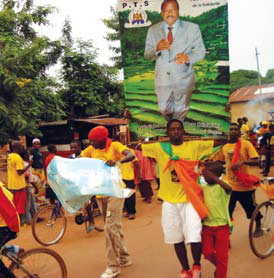 One team member observed the postponed election in Nampula on 1 December 2013. The deployment of this mission set the ground for deployment of an EISA EOM to the national and provincial elections that will take place in 2014. Fully-fledged EISA EOMs were deployed to the 25 October 2013 presidential election and the 20 December 2013 parliamentary and run-off presidential elections in Madagascar. These missions were led by His Excellency Mr Cassam Uteem, former President of the Republic of Mauritius and Denis Kadima, EISA Executive Director as the deputy mission leader. The EOM to the 20 December elections was deployed in partnership with The Carter Center as an Integrated Election Observation Mission (IEOM). Within the framework of the integrated mission, EISA deployed short term observers and TCC deployed medium term observers. Both organisations retained their identities and adopted a harmonised election observation methodology. The harmonised methodology included a joint orientation of observers, joint leadership meetings, deployment of observers and use of the same observer checklists. Both organisations released separate assessments of the elections. The TCC mission was led by Professor John Stremlau, Vice President of the Peace Programme at TCC. The deployment of an IEOM to Madagascar was the second of the kind following the deployment of integrated EISA and TCC observer missions in Liberia in 2011. With a joint mission approach EISA was able to extend its observation covering a wider outreach and to share the lessons learned. The EISA mission attracted wide media coverage. As part of its election documentation initiatives, EISA introduced the conduct of Pre-election Assessment Missions (PAMs) in 2012. EISA continued to draw from this best practice by deploying PAMs in 2013 to the following six countries: Cameroon, Kenya, Equatorial Guinea, Guinea Conakry, Tunisia and Rwanda. These reports serve as a valuable resource for EISA's technical support to EOMs deployed by the AU and RECs. They also contribute to EISA's knowledge-generation initiatives. In the year 2012, EISA deployed its own Election Observation Missions (EOMs) to the presidential and parliamentary elections in Egypt, the parliamentary elections in Lesotho and the general elections in Ghana. EISA Technical Assessment Missions were deployed to the different phases of the presidential and parliamentary elections in Senegal and the constitutional referendum in Egypt. To further improve on the use of the tablets for observation, the EPP department worked with the EISA Information Communications and Technology team to develop a standardised template for observer checklists to ensure that standardised data is generated from each election to enable EISA to present comparative data on elections on the continent over a period of time. The use of the tablets improved the efficiency and co-ordination of the Missions which were able to release a preliminary assessment of these elections ahead of other international observer Missions. 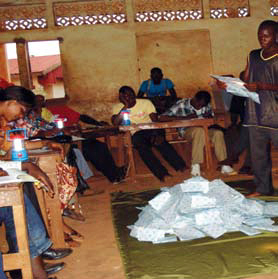 In its efforts to contribute to the overall assessment of electoral processes and to improve the support provided to its partners, EISA introduced the conduct of Pre-Election Assessment Missions (PAMs) to countries where it either deploys a Mission or provides technical assistance to its partners. These Missions were deployed to Sierra Leone, Burkina Faso and Ghana and provided these Missions provided an opportunity to assess the level of preparedness for the elections and to make preliminary arrangements for the deployment of a Mission. The reports of the PAMs provided relevant preliminary information for the work of the EISA Missions and Technical Support Teams later deployed in the country. The reports were also shared with relevant partners. EISA's work in Egypt started with the deployment of a long and short term observation mission to the Shura Council and People's Assembly elections. The first quarter of the year was dedicated to the completion of this Mission which ended in February. EISA deployed 33 long and short term observers to the first and second round Egyptian Presidential elections from May to June 2012, led by His Excellency Mr Cassam Uteem, former President of Mauritius. It received extensive media coverage with the Mission Leader, the Deputy Mission Leader, Mr Denis Kadima and other senior EISA staff giving radio and television interviews to local and international media. The Mission Leader also met high level officials and other Heads of Observer Mission. A more detailed report is contained in the Egypt Field Office report. EISA deployed a Technical Assessment Mission to witness the constitutional referendum that took place on 15 and 22 December 2012 in the Arab Republic of Egypt. The Mission was led by Ms Ilona Tip, EISA's Operations Director. It is important to mention that the Mission was deployed within a context of political tensions and uncertainty characterised by sporadic public protests that turned out violent in some cases. Within this context, the short notice for the referendum and the challenges experienced with the accreditation of observers, EISA deployed a Technical Assessment Mission instead of a fully-fledged observer mission. The decision to deploy a Mission amidst the controversies and uncertainties surrounding the referendum was based on EISA's commitment to the development of Egypt's electoral democracy and the need to build on its documentation of the transition process. An EISA observer mission led by His Excellency Mr Rupiah Banda, former President of the Republic of Zambia was deployed to the 26 May 2012 National Assembly elections in Lesotho. The Mission hosted Electoral Commissioners from the East African Community (EAC) under the framework of the Memorandum of Understanding between EISA and the EAC. The EISA mission played a significant role in facilitating the adoption and release of a joint appeal by 4 international election observer missions that were present in Lesotho, namely, the EOMs of the AU, the SADC, the Commonwealth, and EISA. EISA deployed an EOM to the 7 December 2012 Presidential and Parliamentary elections in Ghana. The mission was led by Mr Ahmed Issack Hassan, Chairperson of the Independent Electoral and Boundaries Commission of Kenya., The involvement of the Chair of the Kenyan EMB along with two of the Commissioners from the Kenyan Commission in the Ghanaian elections provided a lesson learning opportunity for the Kenyans as they were preparing to adopt the use of similar technology for the verification and identification of voters in the 2013 elections in Kenya. EISA deployed Technical Assessment Missions to the two phases of the historic presidential elections and the parliamentary elections in Senegal. The successive missions were led by Vincent Tohbi, EISA's Programmes Director. During 2011 EPP coordinated the deployment of continental election observer missions (EOMs) to Central African Republic, Egypt, Liberia and Zambia; and technical evaluation missions to Seychelles and Uganda. All these missions provided an opportunity for EISA to contribute to the transparency and integrity of the electoral processes as well as serve as avenues for peer learning. The latter was particularly crucial for long and short-term observers drawn from Tunisia who were able to acquire knowledge and skills in election observation through participating in EISA's observer mission to the Egyptian parliamentary elections which started in November 2011. The EISA EOM to Zambia was an important learning experience for EISA as a whole, as the institute piloted the use of computer tablets in election observation. Twelve observers were deployed in teams of two and each team was equipped with a computer tablet for the purpose of collection and transmission of election day observations. Using the Open Data Kit (ODK) software, the observer checklists were uploaded on the tablets and observers were able to fill out the forms electronically using the hard copy of the checklists as back up. At the end of the mission, the tablets were returned to the headquarters and the data was retrieved for collation and analysis. This mission was, however, the pilot phase. During the EOM to Liberia, EISA further improved the ODK system. 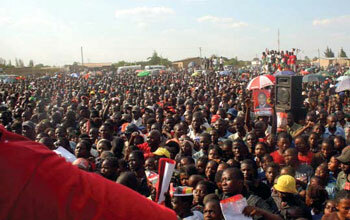 EISA deployed a technical assessment team to the August 2011 referendum in Liberia. Thereafter, EISA deployed an integrated EOM with The Carter Centre to the two rounds of the presidential elections in October and November 2011. EISA shared technology and methodology with The Carter Centre using the ODK software on android phones. The integrated EISA/TCC missions enabled observers to have better coverage of the country and, using the ODK system, observations were transmitted in real time to the mission headquarters which in turn meant that both missions could release their findings almost immediately at the close of polling. As part of its initiatives to establish its work in the North African region, EISA deployed a long term mission to the People's Assembly and Shura Council elections that began in November 2011. EISA also established a short term office in Egypt to coordinate the activities of the mission and establish EISA's presence in the country. The mission consisted of long term observers and short term observers during each phase of the elections. The Egyptian elections opened up opportunities for EISA to forge partnerships in the North African region. During the period under review, EISA gained established contacts with the National Constituent Assembly (transitional) and CSOs in Tunisia. These CSOs were invited to participate in the EISA missions to Zambia and Egypt as part of EISA's peer learning initiatives in its missions. During the period under review, the department coordinated the deployment of EISA continental election observer and technical missions to Guinea Conakry, Mauritius and Zanzibar. These missions were a combination of technical support to domestic observer groups in the host countries as well as the deployment of EISA continental election observer missions. All these missions provided an opportunity for EISA to collect information on the conduct of the electoral processes in the three countries and to contribute to peer learning and support. 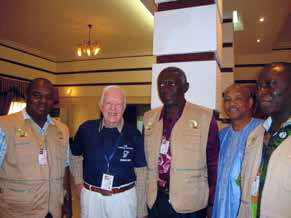 EISA participated in the Carter Centre observer missions to the National Elections in Sudan which were held over six days from 11 to 16 April 2010, as well as the Carter Centre Mission to the National and Local Elections in the Philippines in May 2010. This was an opportunity for the two partner organisations to share their experiences in election observation management and deployment. The main purpose of the EISA 's team to the Philippines election was to assess the automated voting technology which was used for the first time in these elections. EISA used this opportunity to include a study tour with the aim of enhancing EISA 's expertise in the area of automated election systems, an important aspect of EISA 's work with EMBs and other key electoral stakeholders on the continent, as well as the enhancement of its internal capacity through the use of automated voting in the Balloting and Electoral Services. 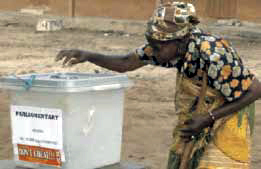 In 2009, the department coordinated the deployment of election observer and technical assessment missions to South Africa, Malawi, Mozambique, Botswana and Namibia. EISA also participated in The Carter Center observation mission of the voter registration process in Côte d'Ivoire and the observation mission to the Sudan elections. All these missions provided an opportunity for EISA to collect information on the conduct of the electoral processes in the four countries and also to contribute to peer learning and support. These missions were a mixture of technical support to domestic observer groups in the host countries as well as the deployment of partially or fully-fledged EISA election observer missions. In total, 71 observers were deployed in the five observer missions, coming from Angola, Burundi, Cape Verde, Cameroon, Chad, Côte d'Ivoire, DRC, Ethiopia, Guinea Bissau, Kenya, Lesotho, Mozambique, Nigeria, Rwanda, Sierra Leone, Sudan and Tanzania. Observers from EISA's partner organisations in Belgium, Sweden and Thailand joined some of the EISA missions for peer learning purpose. In 2008, the department coordinated the deployment of election observer missions to Zimbabwe, Angola, Swaziland, Zambia and Ghana. These missions provided an opportunity for EISA to make an assessment of the conduct of electoral processes in the five countries, document these elections and also contribute to peer learning and support. These missions were a mixture of technical support to domestic observer groups in the host countries as well as the deployment of fully-fledged EISA election observer missions. In 2007, the department coordinated the deployment of election observer missions to Lesotho and Madagascar. Both these missions provided an opportunity for EISA to collect information on the conduct of the electoral processes in the two countries and also to contribute to peer learning and support. Given the charged pre-election environment in Lesotho, EISA approached Sir Ketumile Masire, EISA's patron and former President of Botswana, to lead the mission. Sir Masire was subsequently appointed by SADC to mediate between the Basotho parties to resolve the post-election crisis in the Kingdom. One of the main activities of the EPP department was the coordination of regional observation missions to three elections and one constitutional referendum. During the period under review, EPP coordinated four regional observation missions. The size of the missions deployed in 2005 ranged from nine observers in Zanzibar to 24 on the Tanzanian mainland. The organisational efficiency and the systematic and professional use of PEMMO in assessing the elections led to very successful observer missions. The high media profile is a tribute to the success of these missions. EPP is pleased to note that public awareness around the principles is starting to pay off. The amount of press coverage EISA received attests to the fact that PEMMO has enjoyed a high media profile in the last two years. The level of awareness of the PEMMO in the region has clearly been enhanced. PEMMO has become a core reference document in election management, monitoring and observation in the region. One of the main milestones of the EPP department has been in the area of election observation. Over the period under review, EPP coordinated the fielding of five EISA regional election observation missions. The quality of EISA election observation has improved, in terms of organisation and logistical arrangement as well as methodology and professional outlook. The average size of the mission deployed in 2004 was 32 members; the smallest delegation was to Botswana with 22 members and the largest was to South Africa, with 40 observers. Apart from organisational efficiency, EISA missions were qualitatively boosted by two additional factors: on the one hand, EISA missions witnessed a methodological improvement as a result of the systematic use of PEMMO in assessing electoral processes; and, on the other hand, the visibility of EISA missions was enhanced by the prominence of their leadership. High-profile personalities, such as Sir Ketumile Masire (former President of Botswana), Nthloi Motsamai (Speaker of the National Assembly of Lesotho) and Dr Brigalia Bam (Chairperson of the South Africa IEC) led the missions to Malawi, Botswana and Mozambique respectively. Observation missions were also deployed in South Africa and Namibia. A fact finding mission was deployed to the Swaziland general election that sought to observe the election and the environment within which it took place. The seven member mission comprised of two members of the Zimbabwe Electoral Support Network and five EISA staff members.